Save your valuable time with Teamgate sales CRM data import features. With Teamgate you can easily import your targeted leads in just a few clicks while maintaining a really well-organised database. 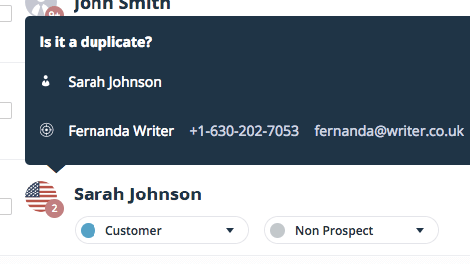 Lead import and contact import is important for your sales process, so make sure you do it right every time with Teamgate. Save hours of valuable time with Teamgate CRM data import, and avoid the nightmares of manual data import and contact duplicates. Teamgate comes with some great data import and lead import features letting you gather valuable information easily and quickly. Teamgate offers smart CRM data import tools to let you import leads automatically from Google, iCloud, LinkedIn Contacts, and Excel. Contact import has never been easier, or quicker, letting you get on with the business of selling. 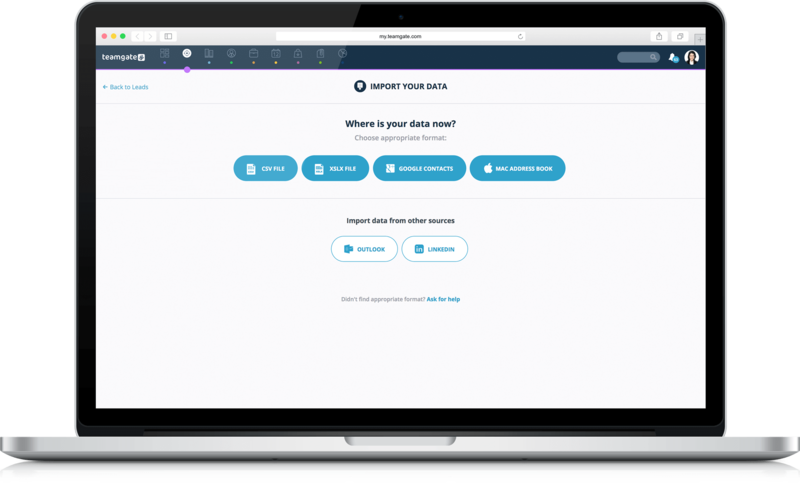 To make data import and contact import faster and easier, Teamgate allows data mapping. 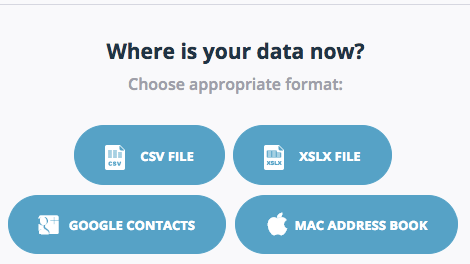 According to the associated field names, the system determines where data belongs. Indicated field relations are saved; therefore, the next time you import a file of the same structure, the mapping is applied automatically. The ability to import files without duplicates is a real bonus for salespeople. Teamgate CRM data imports check for possible duplicates and automatically flags them. This allows you to merge, remove, or mark them as non-duplicates. 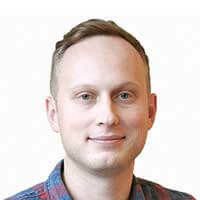 Duplicate snagging saves valuable data import and contact import time. 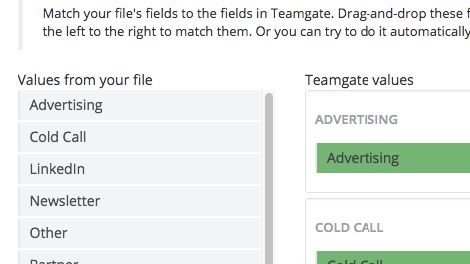 Teamgate lets you see who imported leads, when, and how many of them. 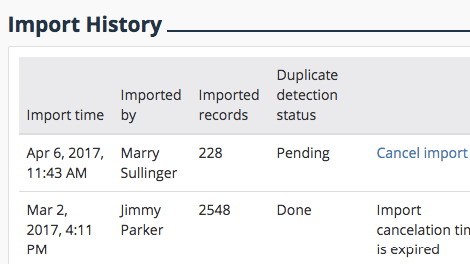 You can also access the history of all imports and determine how many entries have already been scanned for duplicates. When you import files you have 24 hours in which to cancel that import.